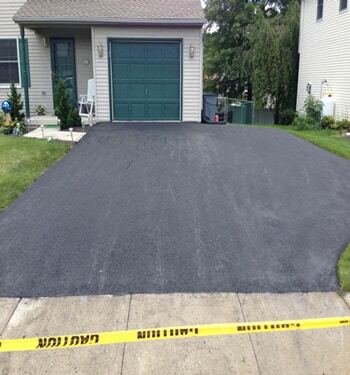 Our customer asked for work regarding asphalt paving in Enola PA. They needed their driveway re paved. We cleaned the driveway so the new asphalt paving would properly stick to the old asphalt. We resurfaced the driveway with 1.5 inches of ID2 wearing course. We can handle any job no matter how big or small. Even if it’s asphalt paving in Enola PA.